One level living at its best is the hallmark of this exceptional gated Stafford estate. Custom built w/premiere quality,this stunning home offers light-filled rooms & pastoral views at every turn of the elaborately landscaped sunny flat grounds. 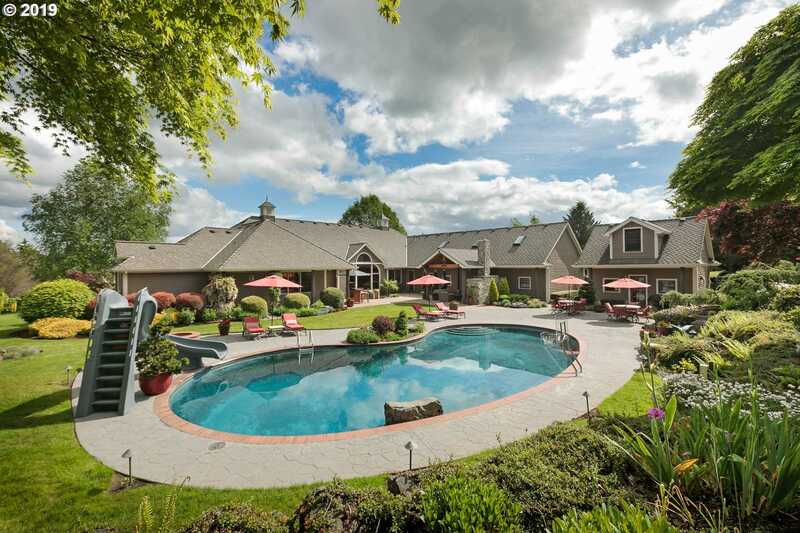 Outdoor entertainment mecca features pool,spa,covered pavilion w/fireplace,pond w/fountain & more.Close-in country setting just minutes to gourmet markets, restaurants & shopping & quick to PDX. Please, send me more information on this property: MLS# 19043535 – $2,347,000 – 23077 Sw Newland Rd, Wilsonville, OR 97070. I would like to schedule a private showing for this property: MLS# 19043535 – $2,347,000 – 23077 Sw Newland Rd, Wilsonville, OR 97070.